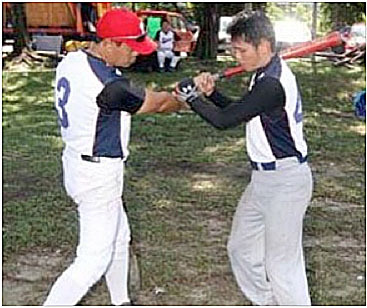 (Kuala Lumpur, Malaysia) THEY don’t have a proper training ground, but that has not stopped a group of baseball enthusiasts from being active in the game. Under the leadership of Japanese Sakamoto Hirofumi, the Patriots Baseball Club not only gather for weekly training sessions but also initiate friendly competitions regularly. Almost 20 youngsters from the Klang Valley get together a four-hour training programme at the Petaling Jaya Astaka. Sakamoto said despite the condition of the field, they have been training without fail. “We are not in a position to complain. We are happy to have a place to train. We want to continue to train and also play the game we love,’’ said Sakamoto. Recently, the Patriots organised an invitation competition called the Goodwill Games, with teams from Japan and Singapore. Japan comprised players from a high school where Sakamoto used to study and coach. In the round robin competition, Japan became the champions after winning against Patriots and Singapore. Sakamoto admitted the players from Japan were simply better and deserved to be winners. “They have a well structured programme and did well. We were not in the same class as Japan. But we were happy to organise as well as well play in a competitive atmosphere. Our players certainly had gained some valuable experience from the competition,’’ said Sakamoto. Last year, the Patriots provided several players to the national squad for the SEA Games. It was also a dismal outing for the Malaysians. They lost all their matches against the participating countries — Thailand, Vietnam, Indonesia and the Philippines. Patriots will be taking part in some competitions next year. “All the players are committed and come for training regularly. So we have to continue with efforts to keep their interest in the game. A few years ago, we went to Thailand. Next year, we have plans to visit Singapore and play some friendly matches. We have good relationship with teams from Singapore and Thailand. “They are prepared to host us. Our players and team officials also pool their resources to fund the expenses,’’ said Sakamoto. Besides Sakamoto, American Raymond Kiel, who has several years experience in coaching, is also helping the Patriots. Kiel said he was happy to assist the Patriots in their training programmes. “I feel sorry for the players. They are training under difficult conditions. But I am impressed with their enthusiasm and commitment. I look forward to the weekly training sessions,’’ said Kiel. Baseball players keen to join the Patriots’ training programme can contact Sakamoto at jommainbesbol@gmail.com.